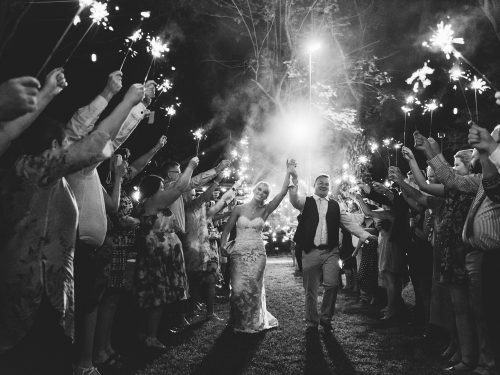 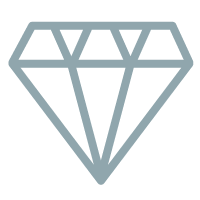 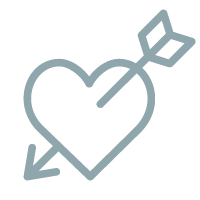 We get to meet some absolutely amazing people by working in the wedding industry, and we are very lucky to now call quite a few of them our close friends. 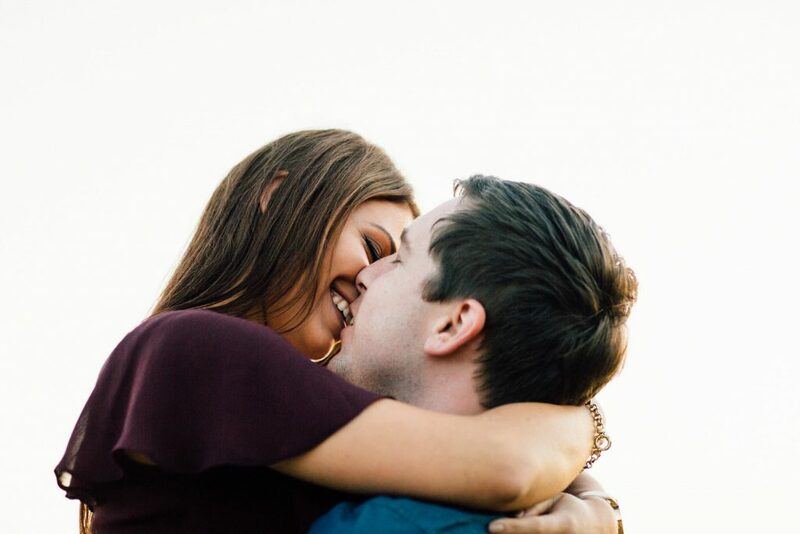 After working with Jack & Amy at a wedding we instantly clicked, and when Jack secretly asked us if we could photograph his proposal to Amy, we were over the moon with excitement. 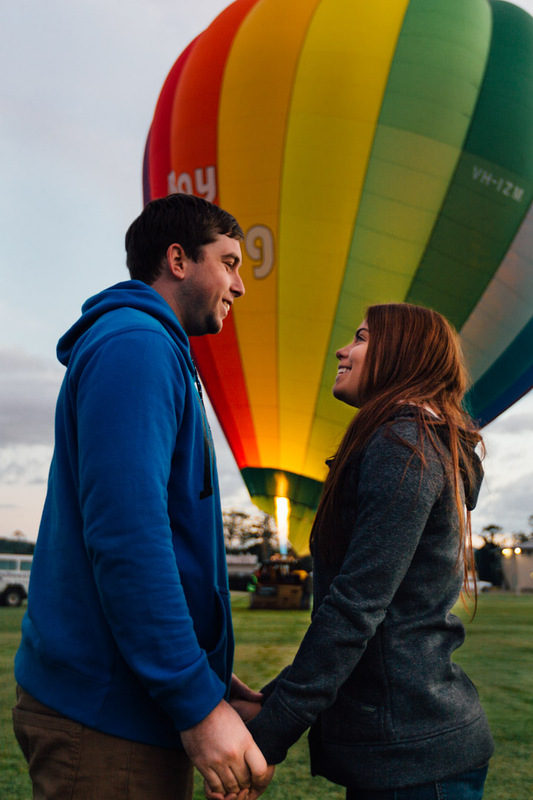 We successfully pulled off a plan that left Amy speechless. 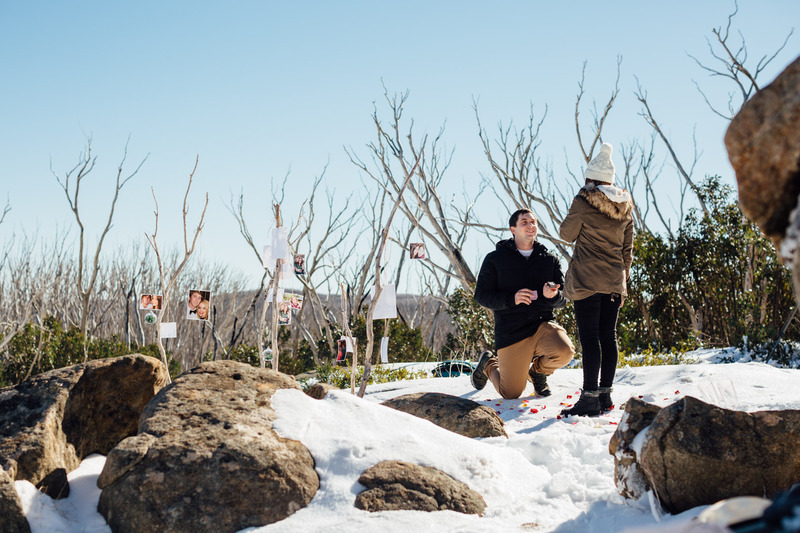 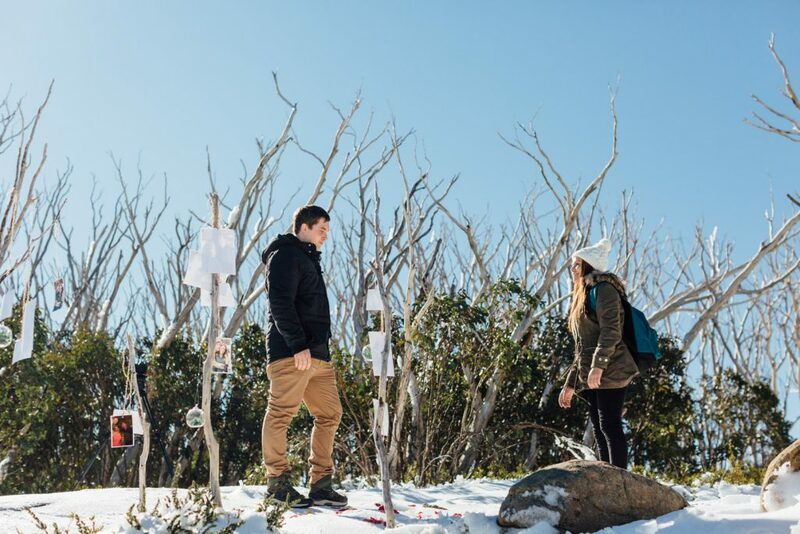 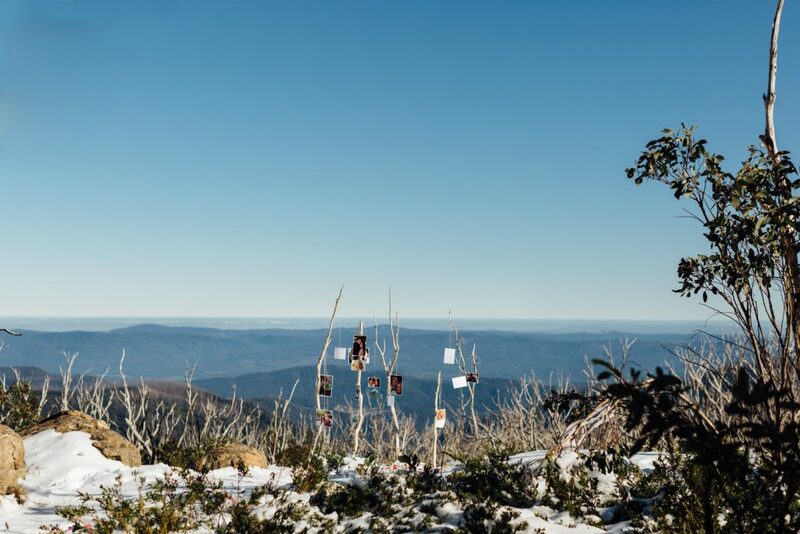 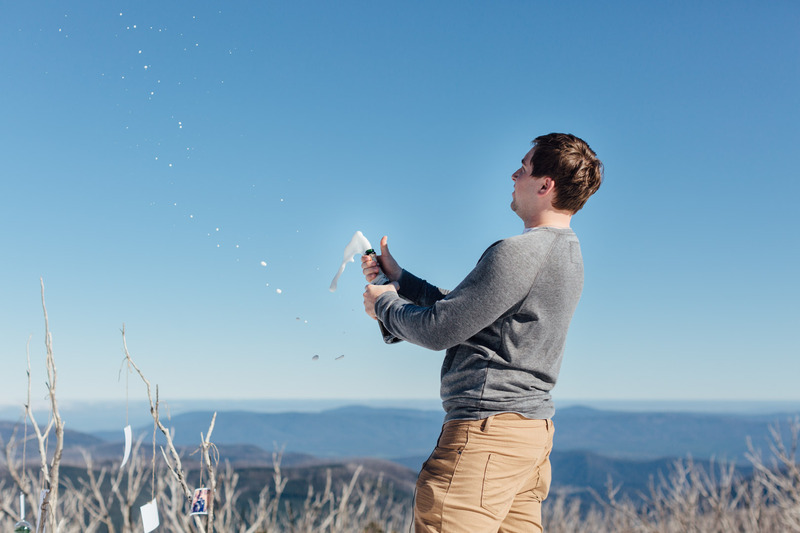 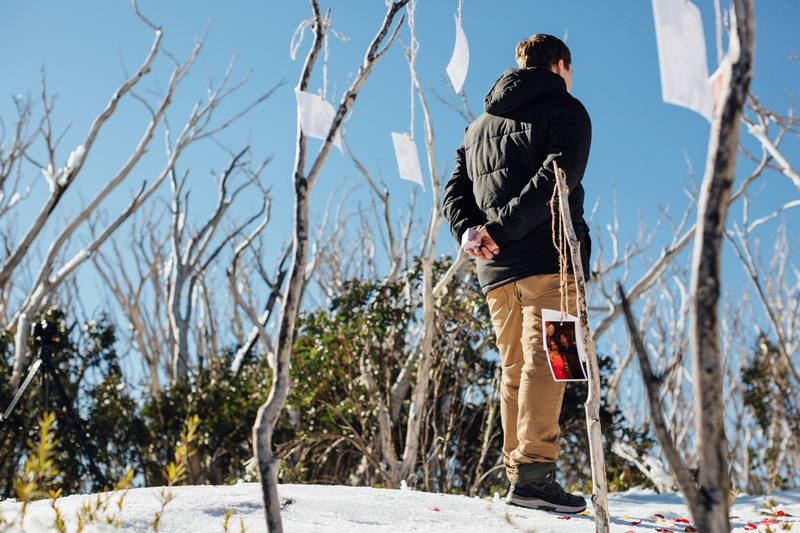 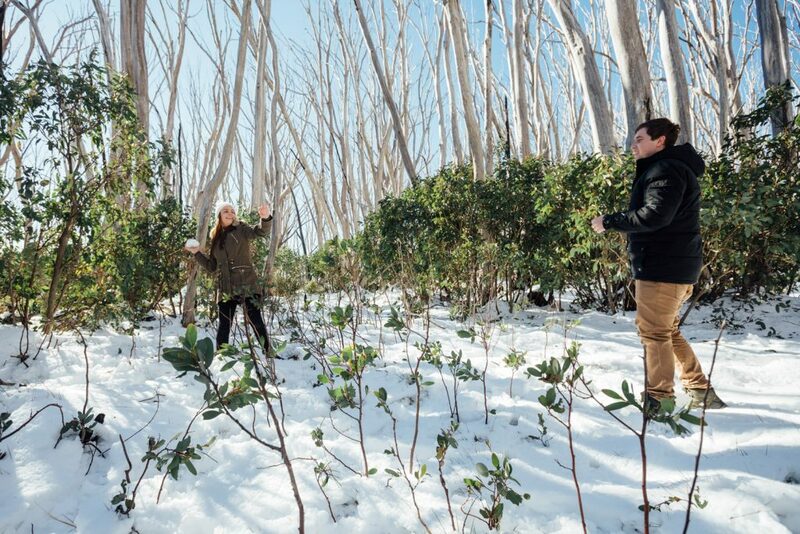 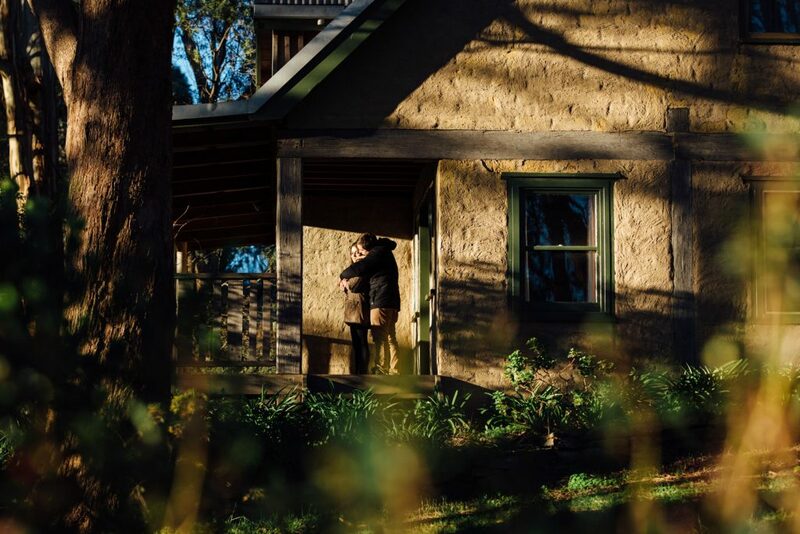 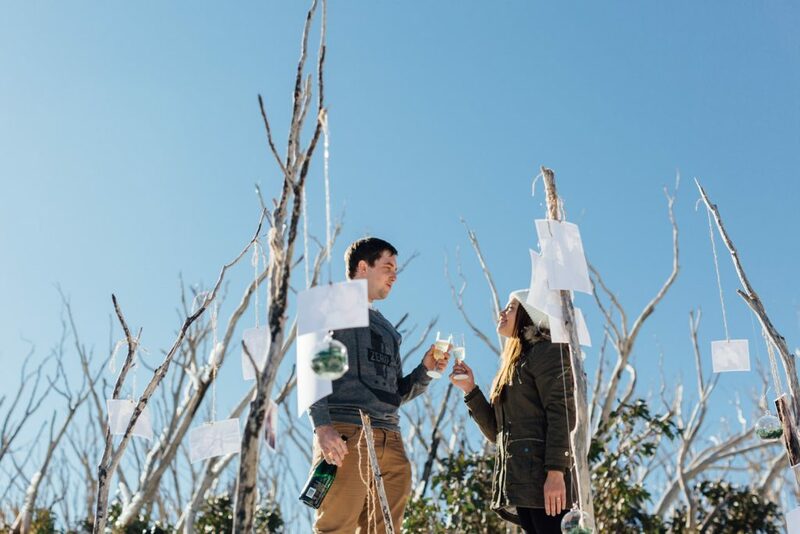 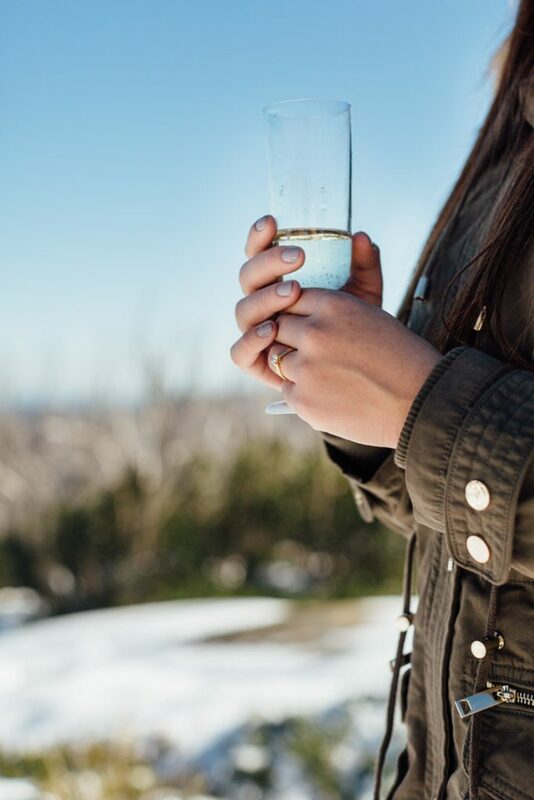 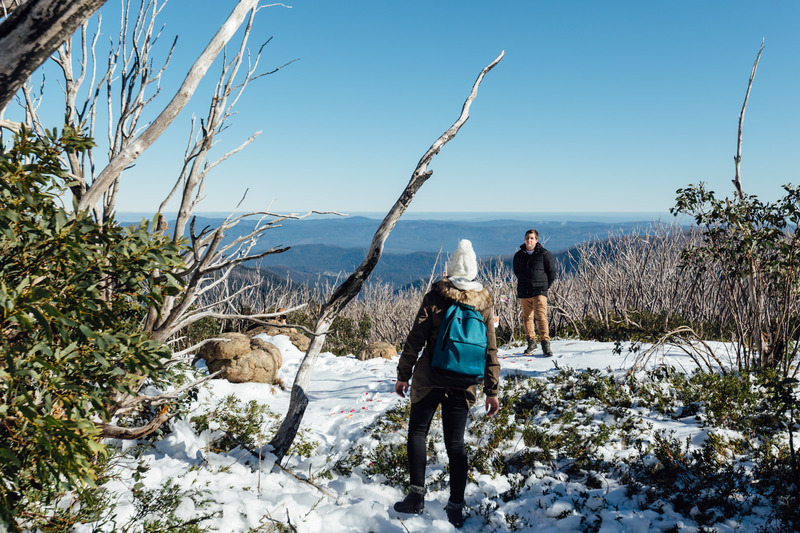 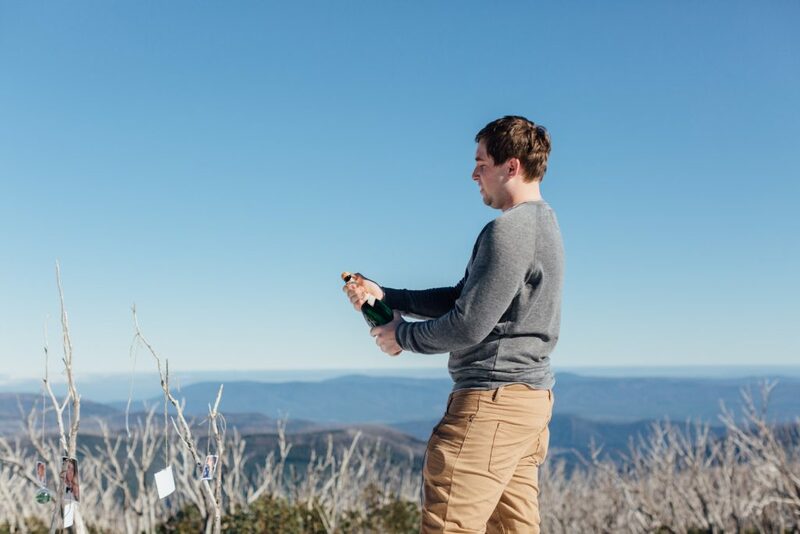 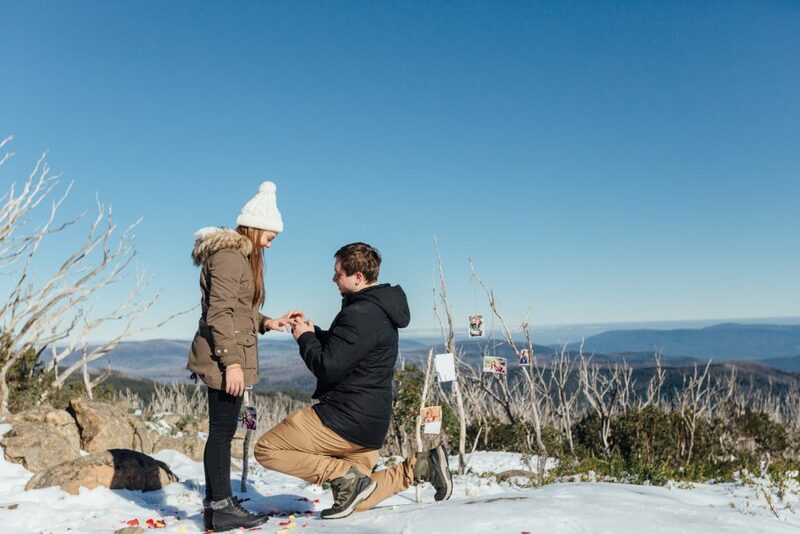 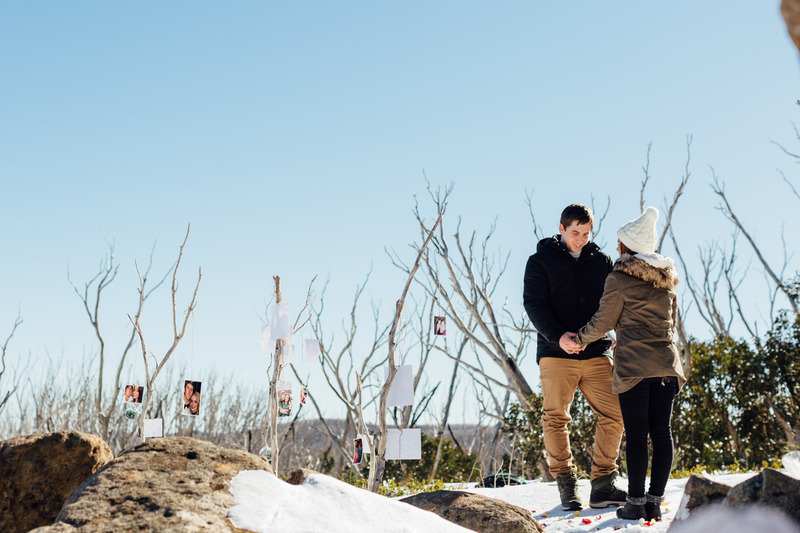 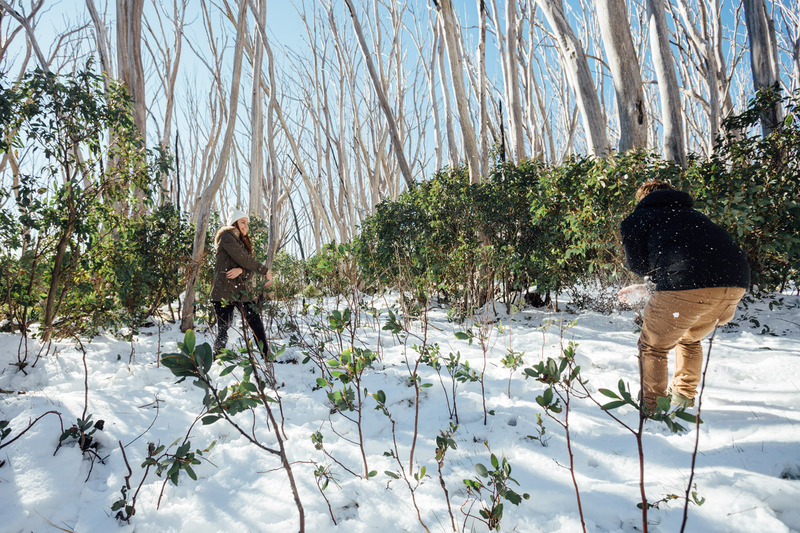 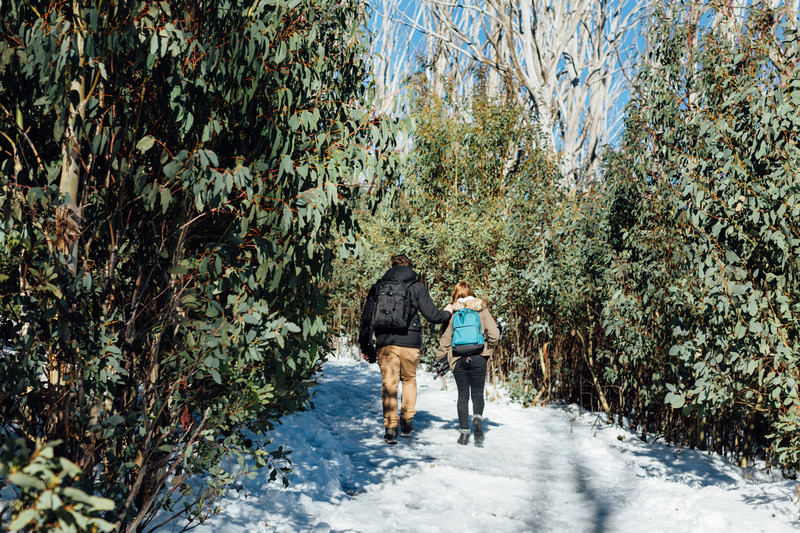 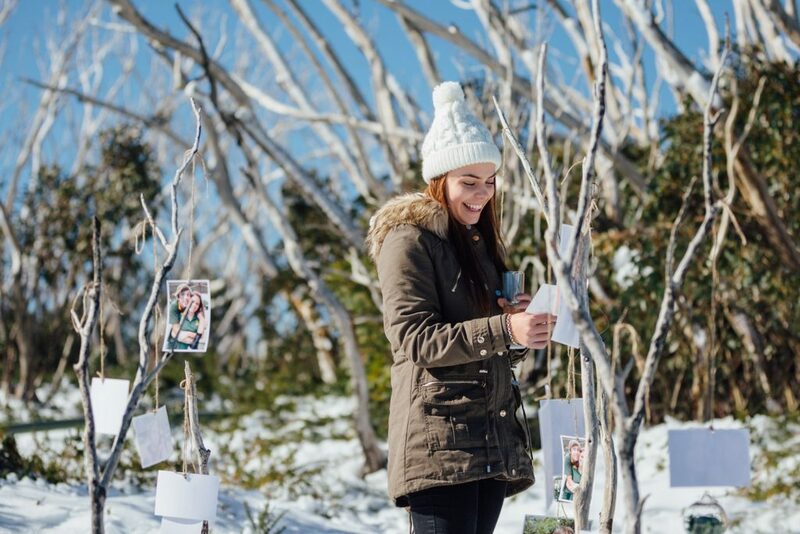 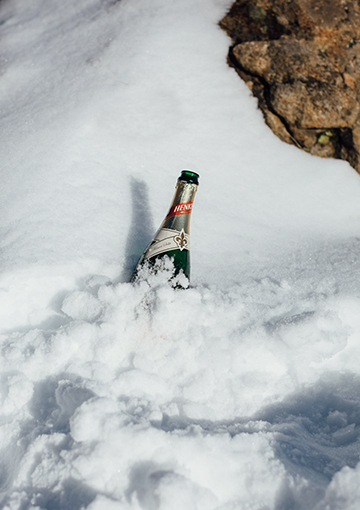 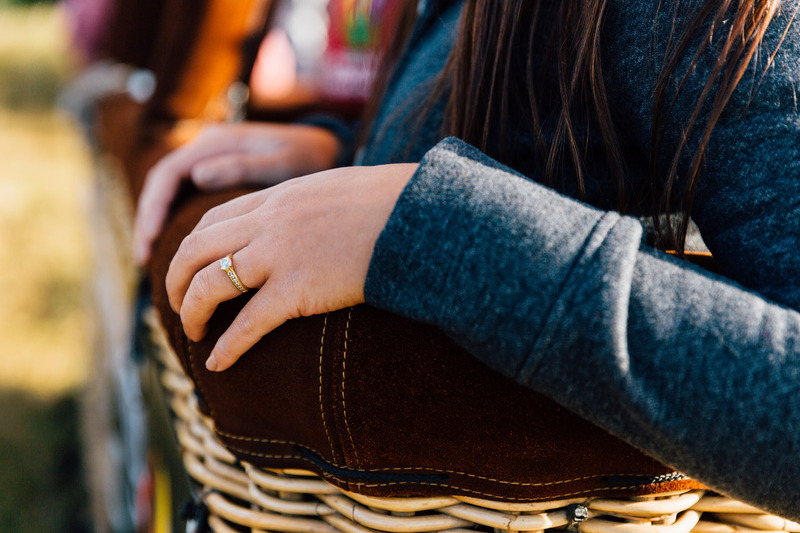 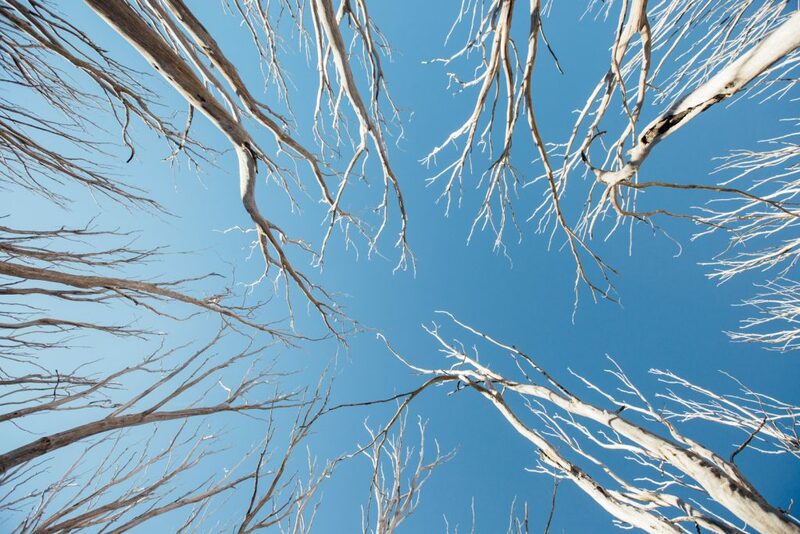 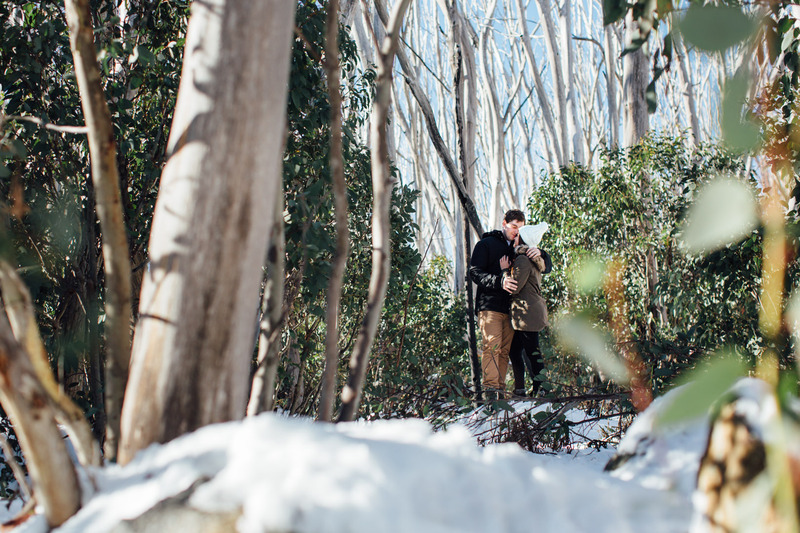 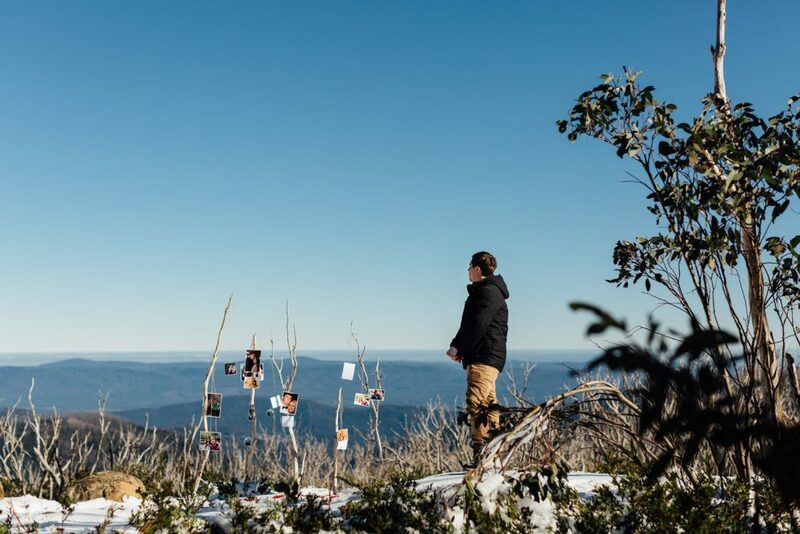 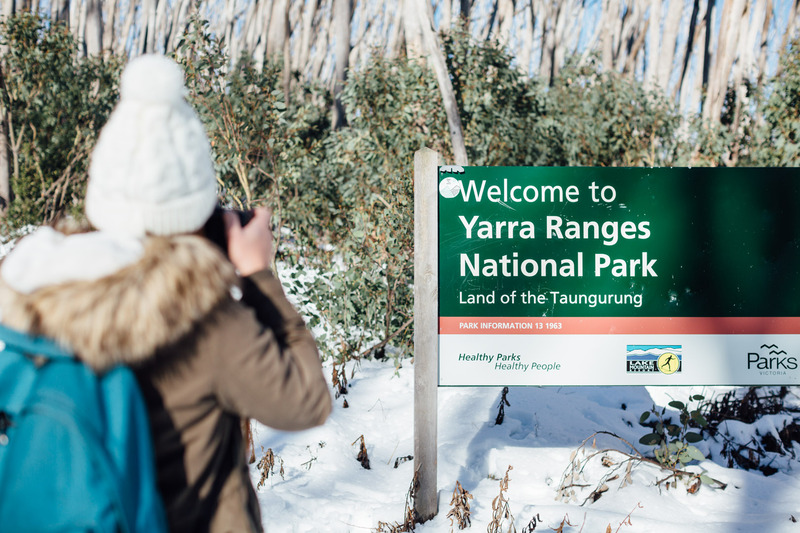 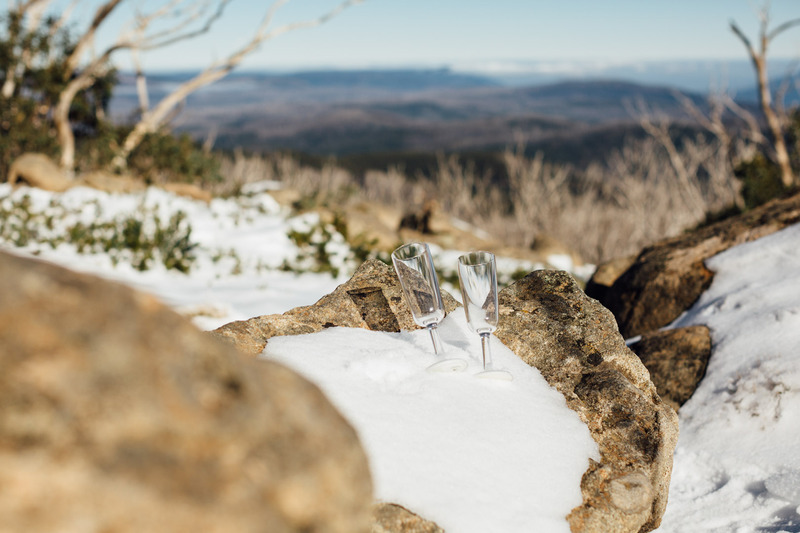 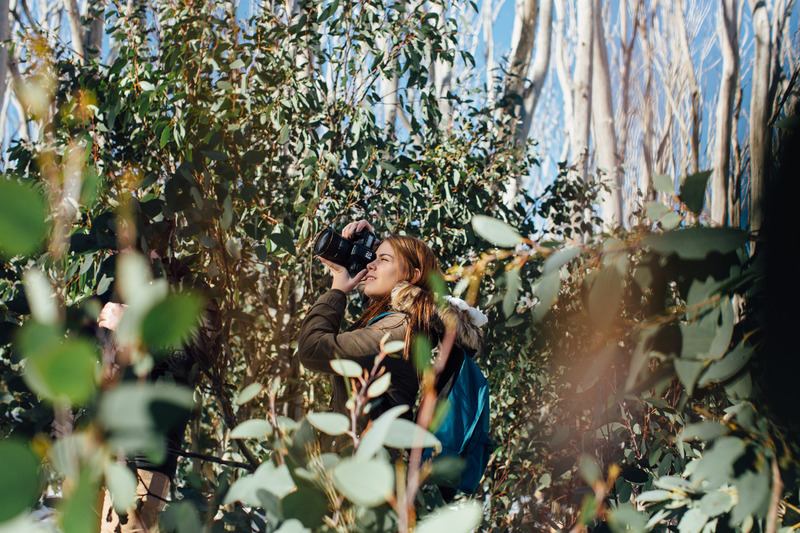 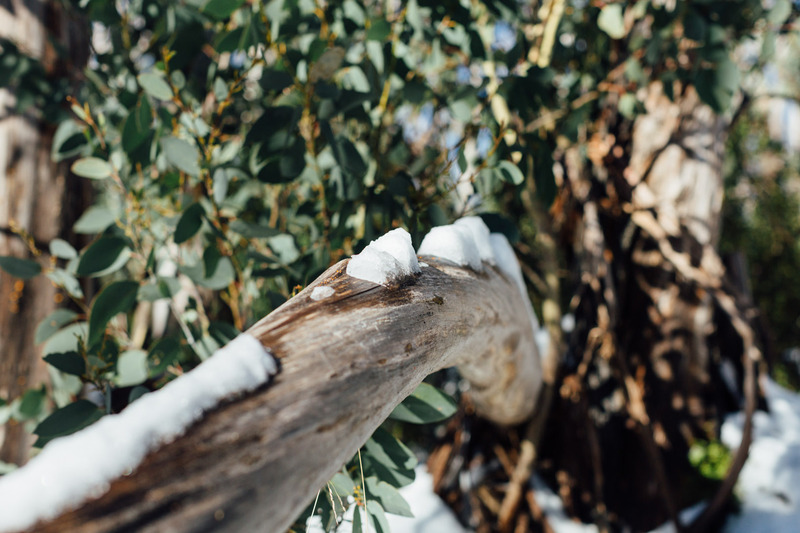 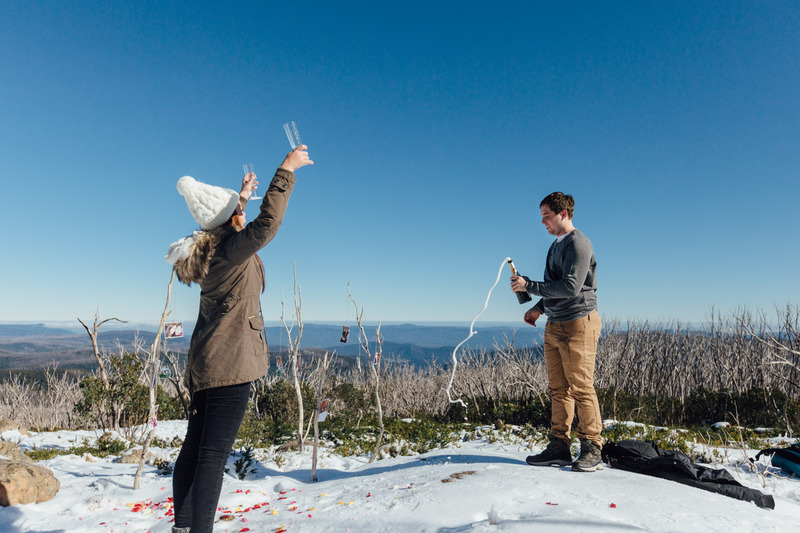 A day that was disguised as “location scouting” quickly turned into a beautifully happy and emotional afternoon as Jack proposed on the top of a a snowy mountain, overlooking the most amazing view in Lake Mountain, Victoria. 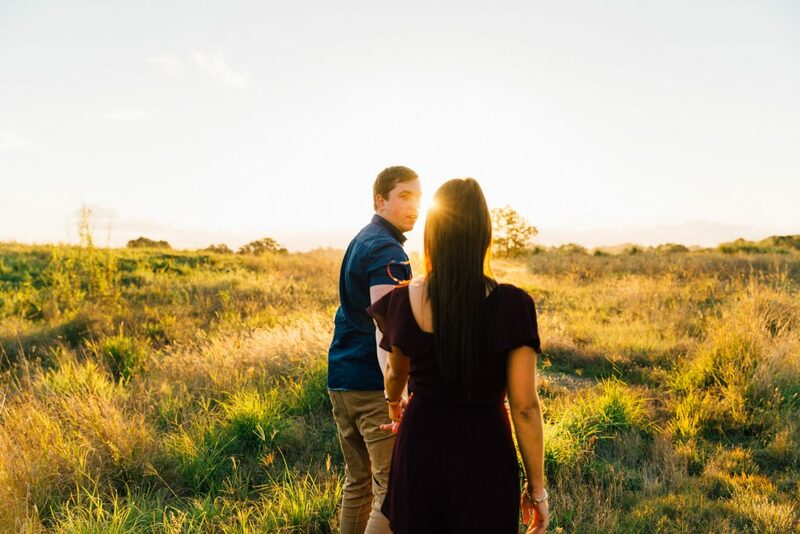 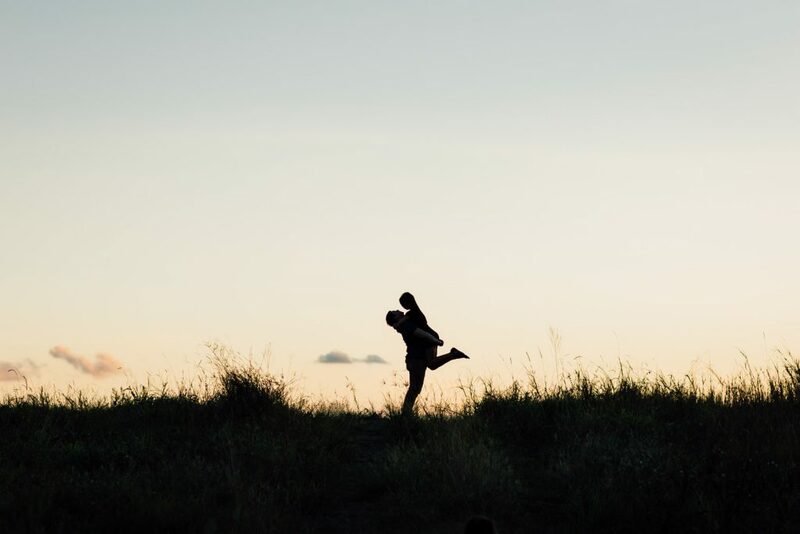 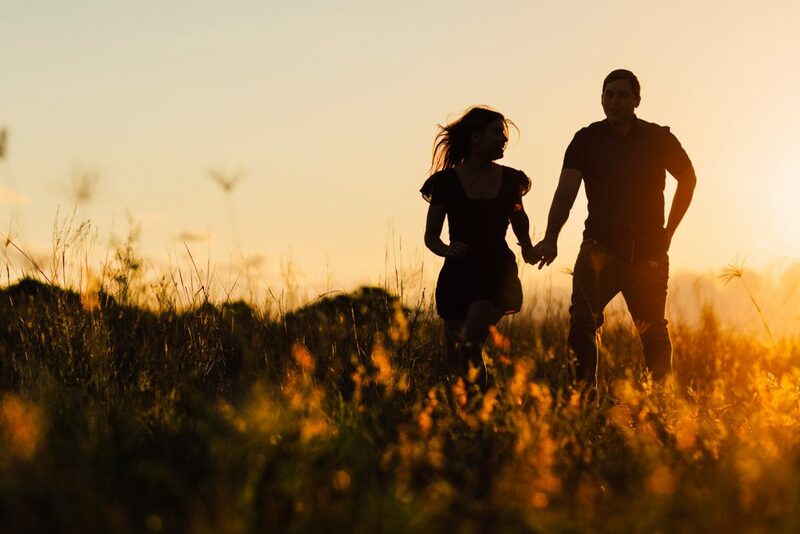 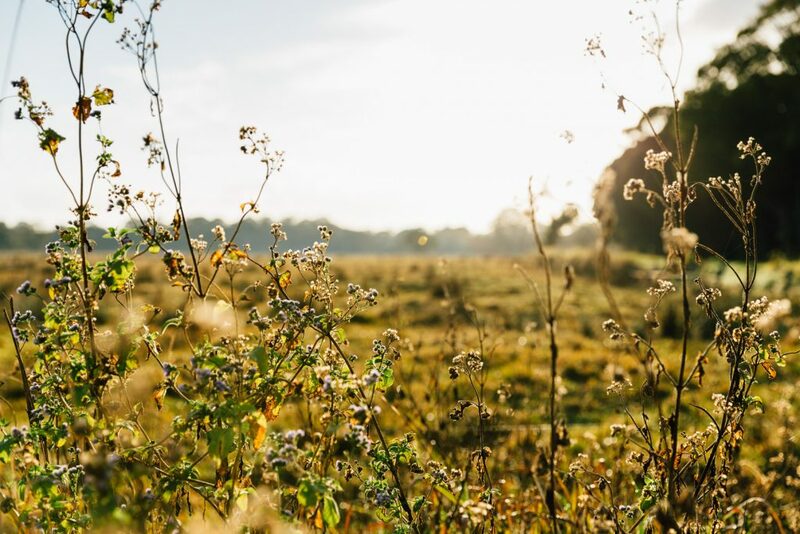 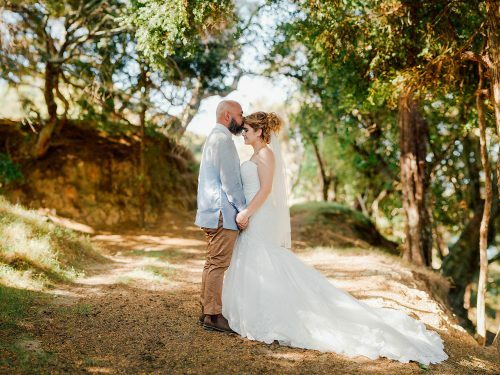 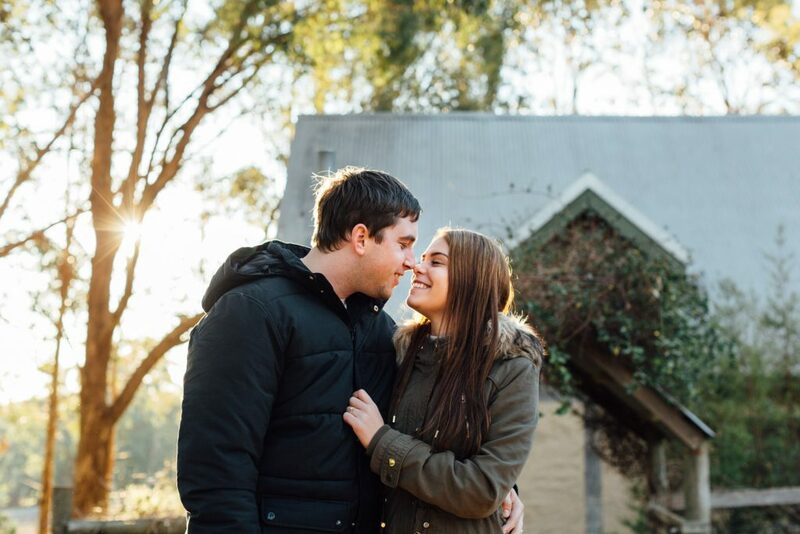 We then whisked the newly engaged couple off to a gorgeous cottage surrounded by vineyards, where we watched the sun set with a glass of wine in hand. 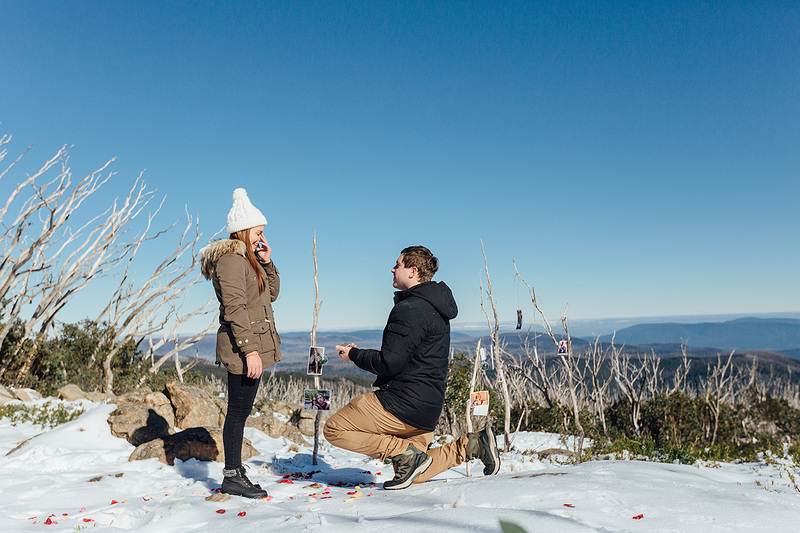 That, however, was not the end of the surprises that Jack had planned. 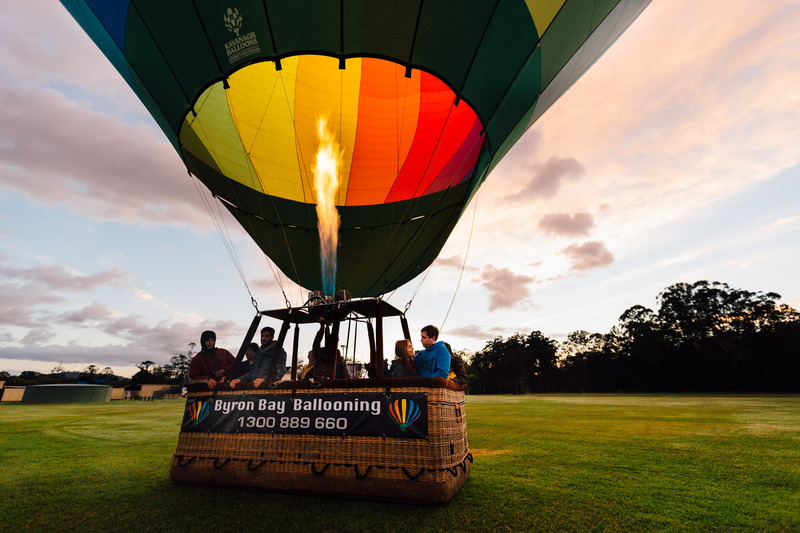 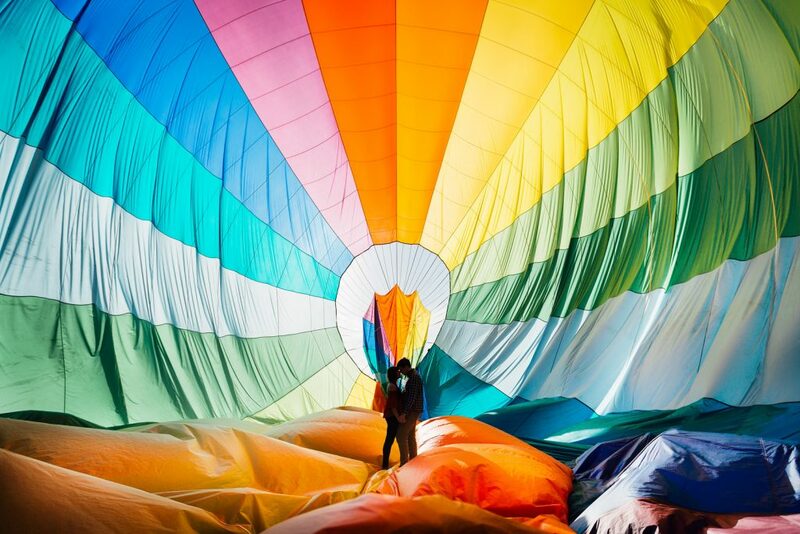 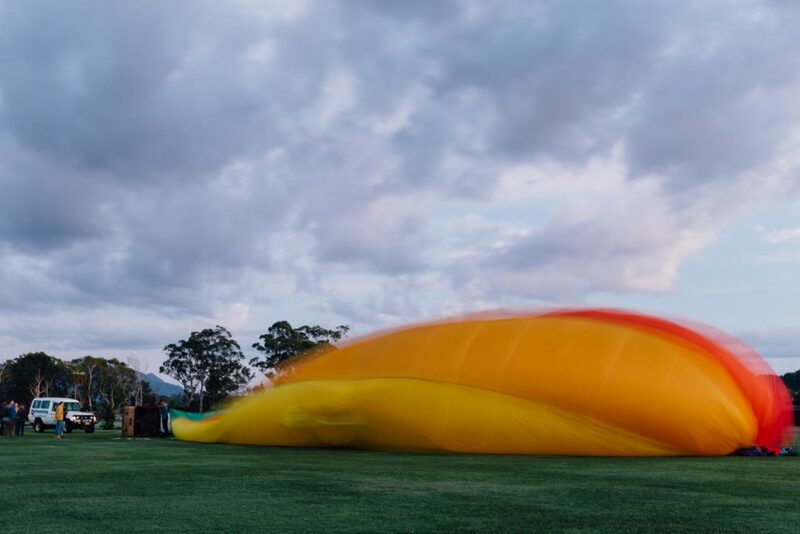 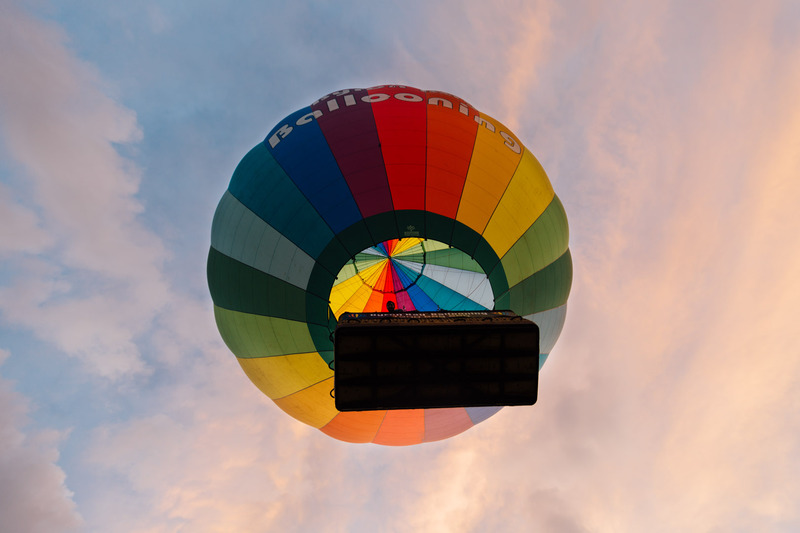 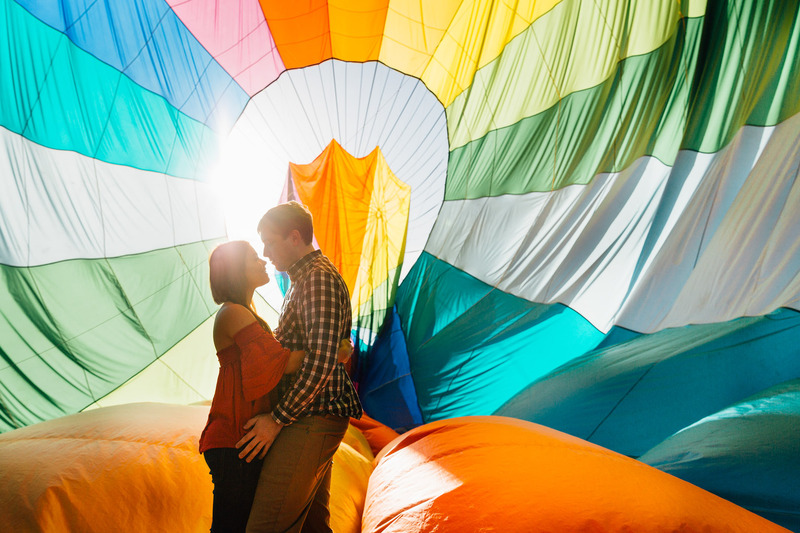 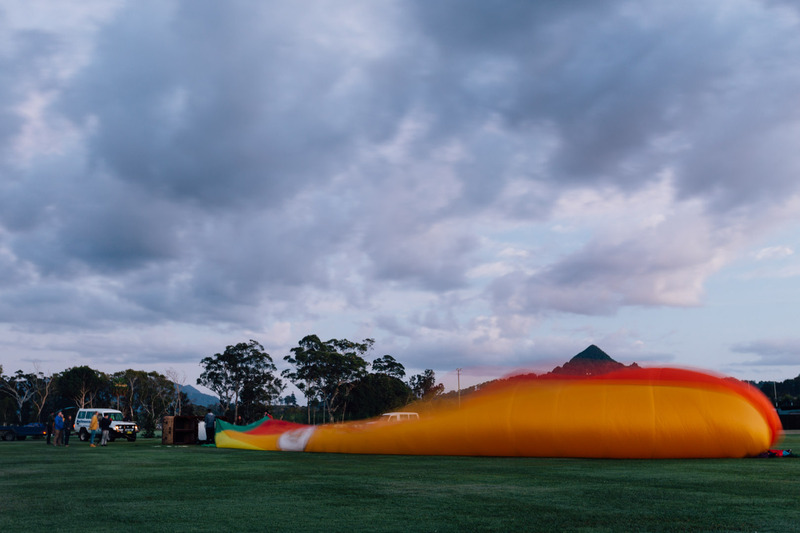 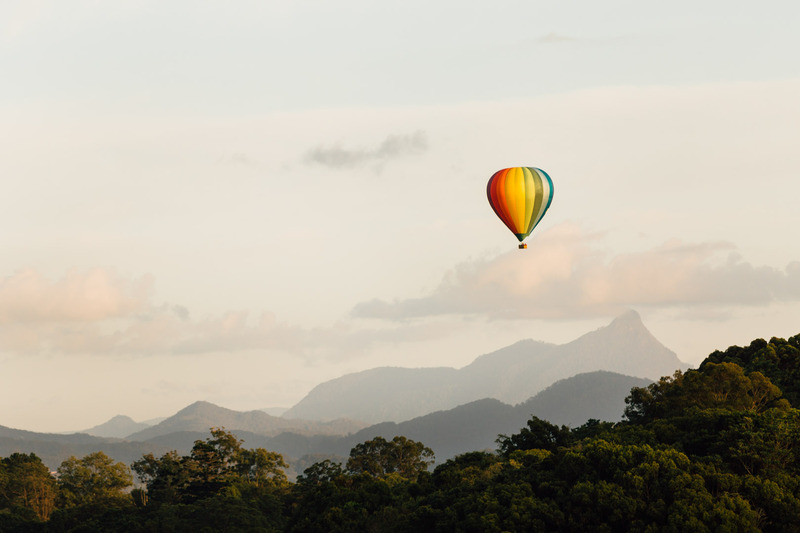 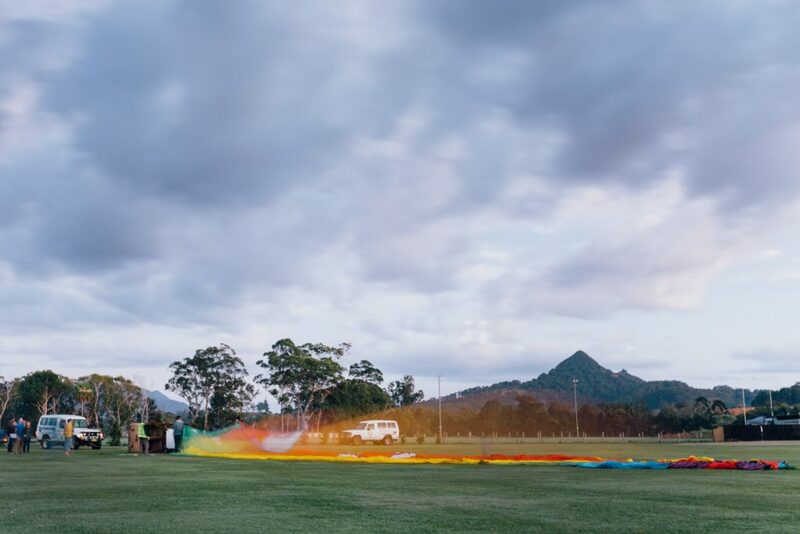 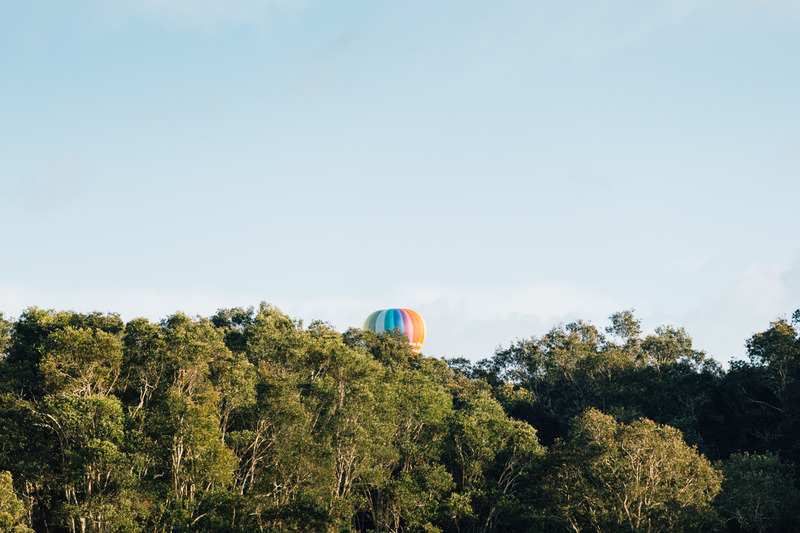 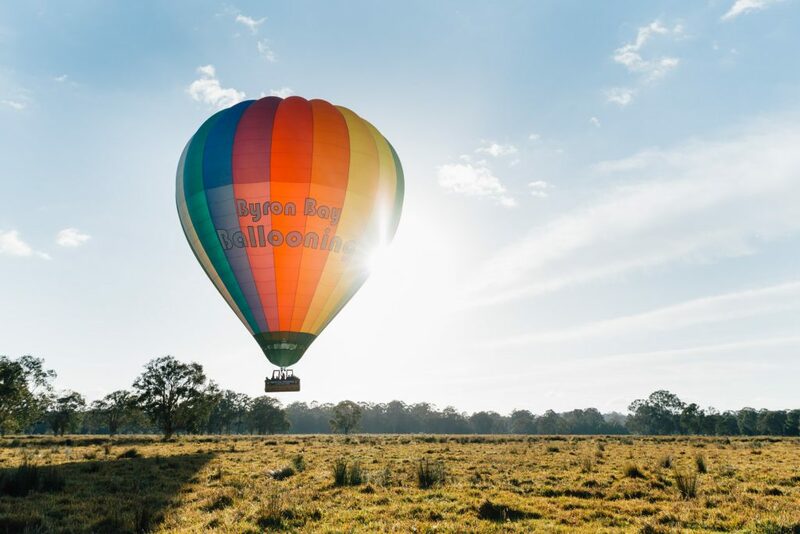 Once back in Brisbane, an overnight trip to Byron Bay was planned, where the next morning a Hot Air Balloon trip would be taken! 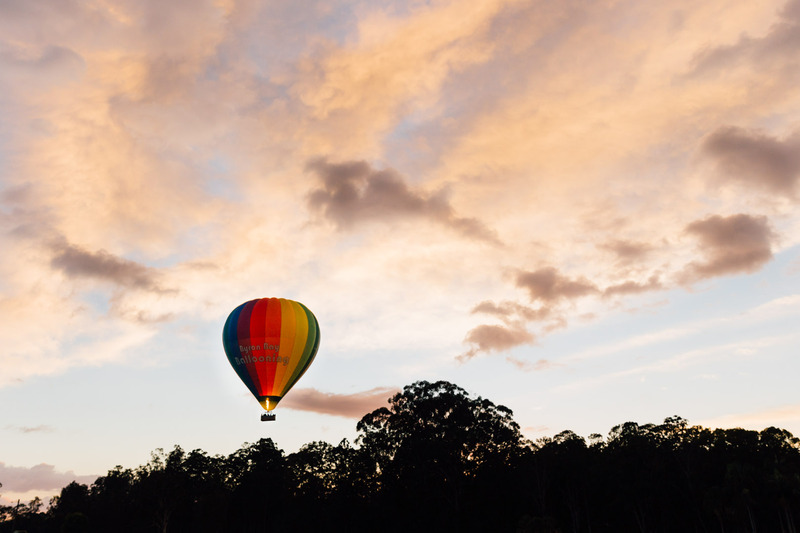 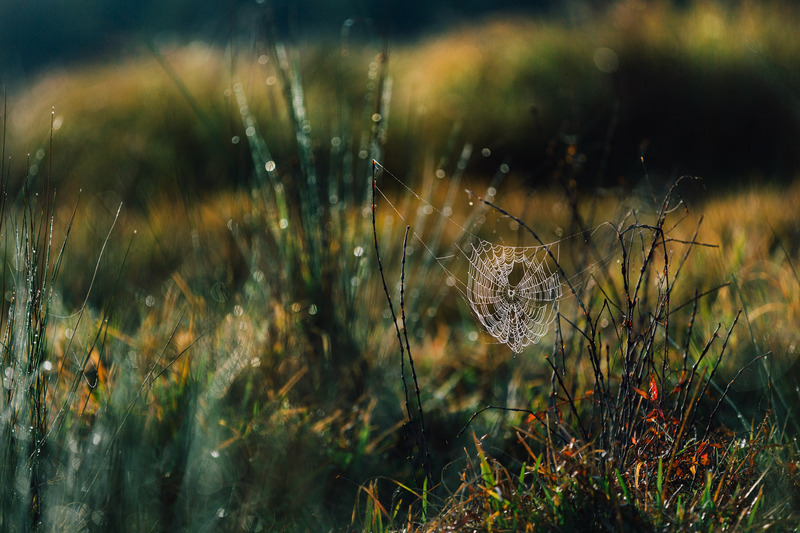 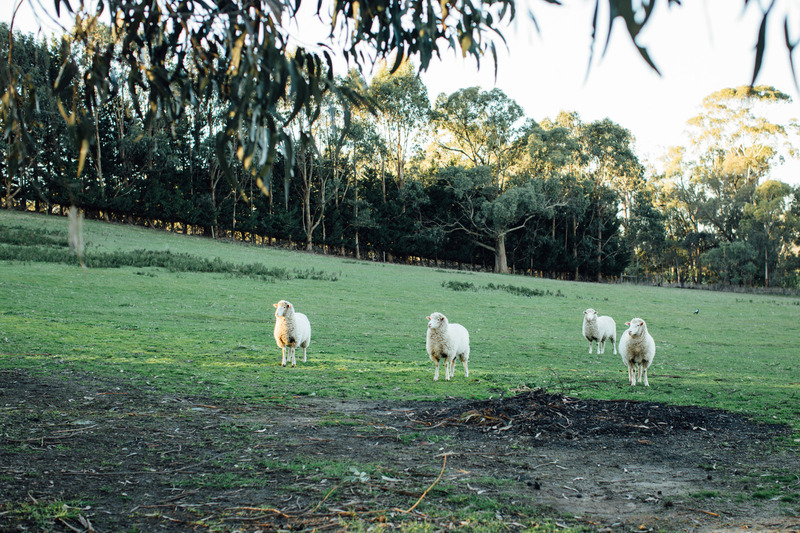 We tagged along, taking some beautiful photos of the two floating over the New South Wales hinterland as the sun rose behind them. 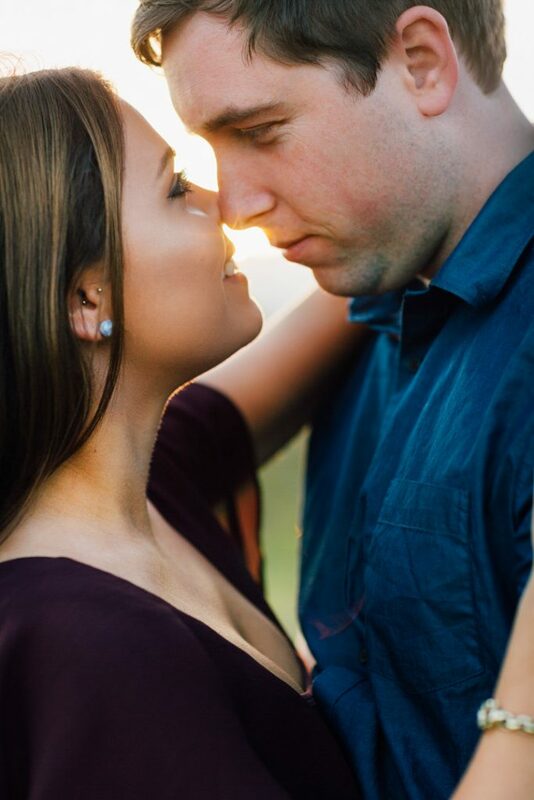 While there are no wedding plans in the making yet, whatever these two decide to do, we know it will be absolutely phenomenal. 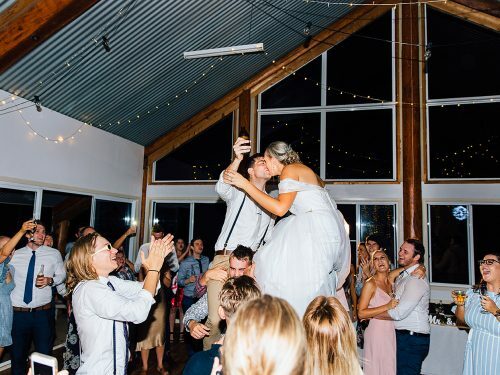 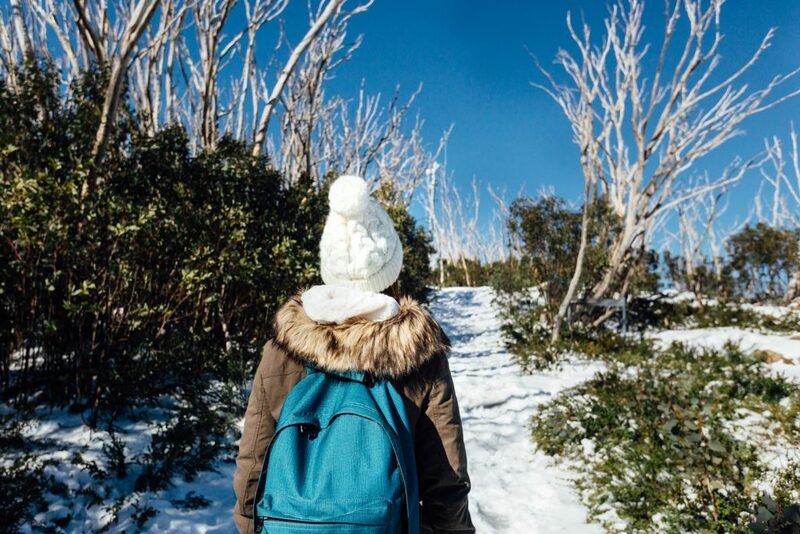 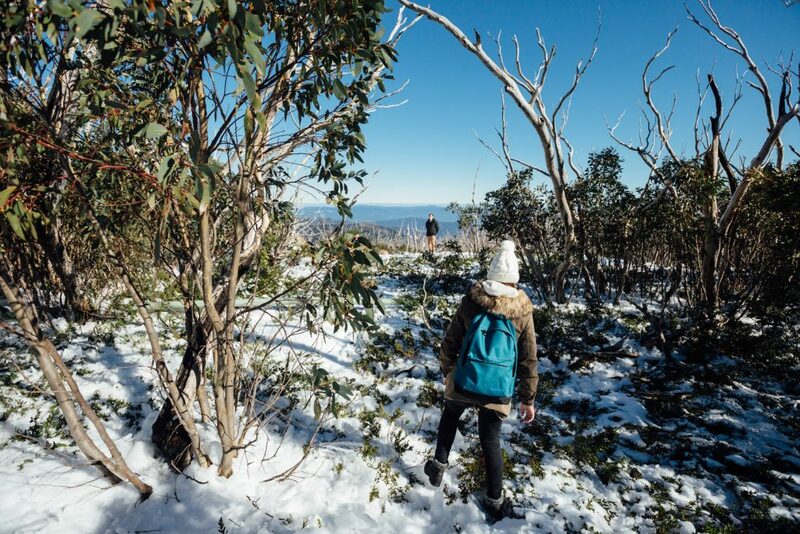 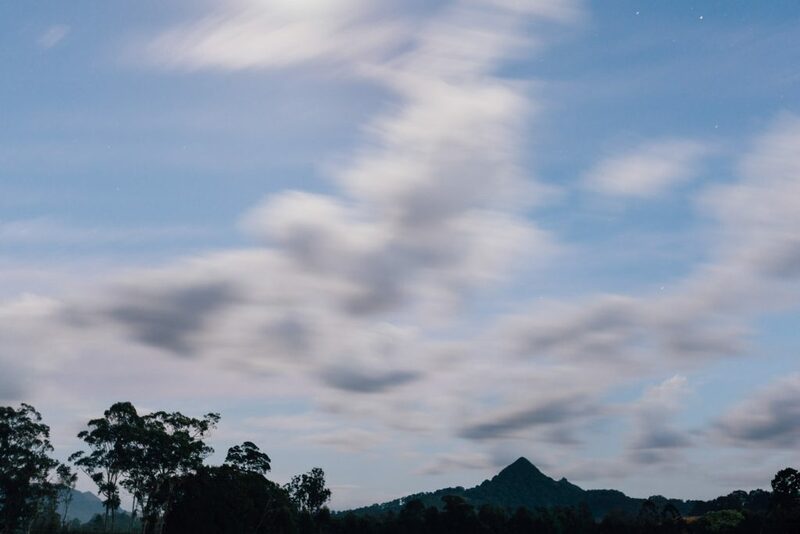 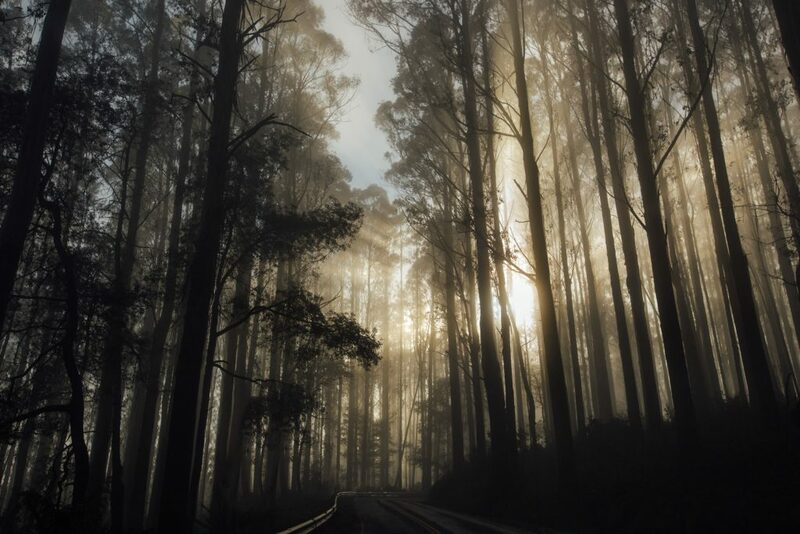 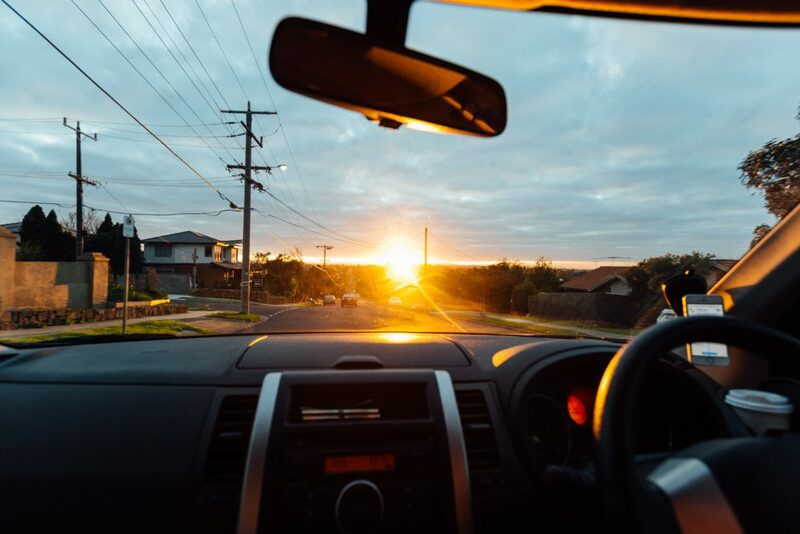 Lake Mountain, Victoria and Byron Bay are two places we hold dear and definitely want to go back to now that we’ve made some wonderful memories there. 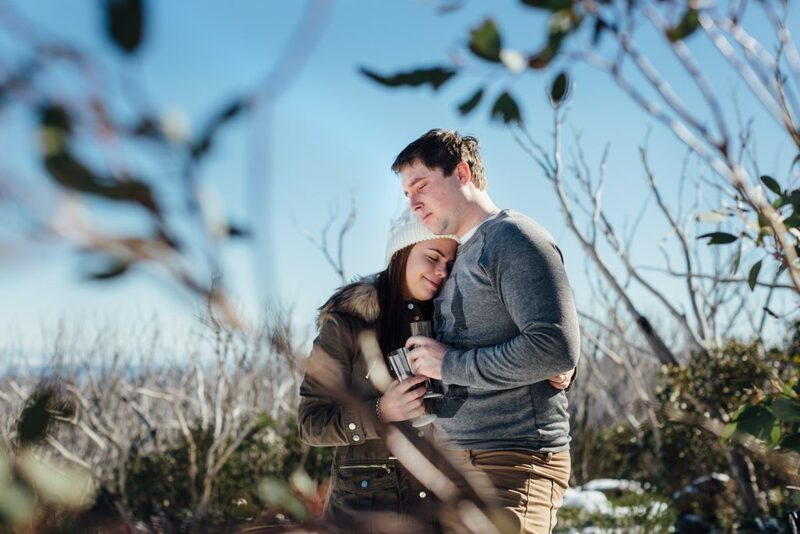 We feel so privileged to have been included in Jack & Amy’s gorgeous milestone, and we cannot give a big enough congratulations to them both!